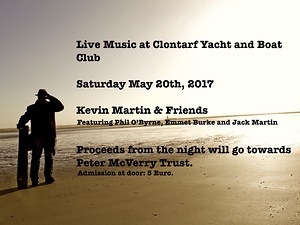 The Admirals "Other" ball will take place on the MV Cill Airne on Sunday 4th June, 2017 at 7.30pm. 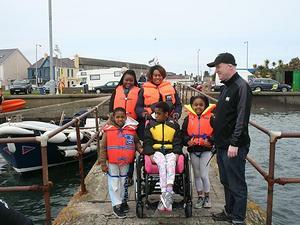 Thank you everyone for helping to make the CRC outing and Blessing of the Boats day memorable for all. 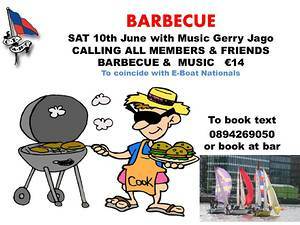 The first barbecue of the summer will be on Saturday June 10 to coincide with the E-Boat National Championships at CY&BC. 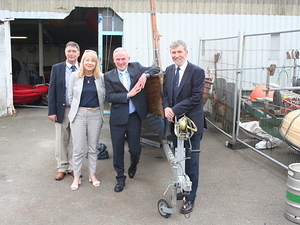 Minster for Education and local TD, Richard Bruton visited CY&BC this week for a tour of our facilities and an update on all of our sailing and on-shore activity from our Commodore Andrew Semple and the Development Committee. Volunteers wanted to help out - Thursday 22nd June for St. Michael's House and Friday 23rd June for CRC. There's a new addition to the CY&BC fleet. 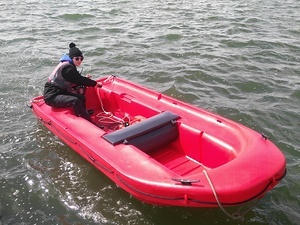 A new FunYak 12 carrying a 9.9HP Yamaha outboard was commissioned this week at CY&BC. This brings our FunYak fleet to three boats which are primarily used for training of adults and juniors and assisting with inshore rescue. 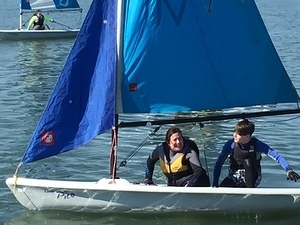 Three more sailors at CY&BC have been successful in achieving their ISA Level 2. Braving the cold and blustery spring weather, Orla, Anne-Marie and Christian headed out in club Picos every Sunday to complete the course. 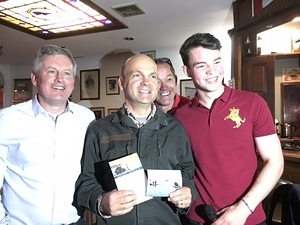 They were awarded their certs this weekend by their instructor Oisin and our Vice Commodore, Aidan Cronin. 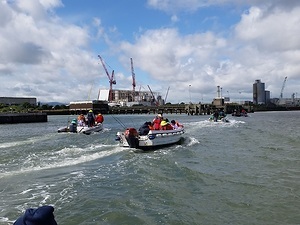 Congratulations to the over 30 participants who took part in our Adult Introduction to Sailing Course from the 2-6 May. Our trainees faced all weather with great enthusiasm and lots of laughter. Thanks to all of our CY&BC volunteers who worked so hard to make it all happen and to the skippers who lent their boats, time and expertise. 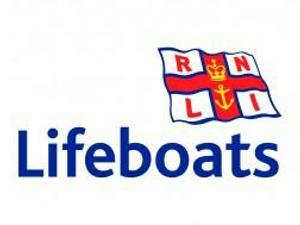 Wednesday 26th April - 8pm - Do you own a boat but need crew? 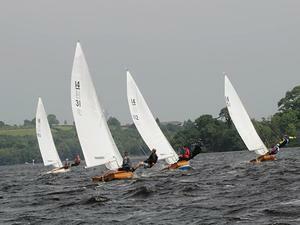 Or are you an enthusiastic sailor, of any level, who needs a spot on a cruiser, e-boat or dinghy? Come to the CY&BC Crew Finder Evening.